At a party one night last fall after I returned from Iceland, Collin Harkrader and I had a wouldn’t-it-be-cool-if conversation about another international bike trip. When he called my bluff on the plans a few days later, we considered the idea again in the light of day, and pushed forward with more serious planning. 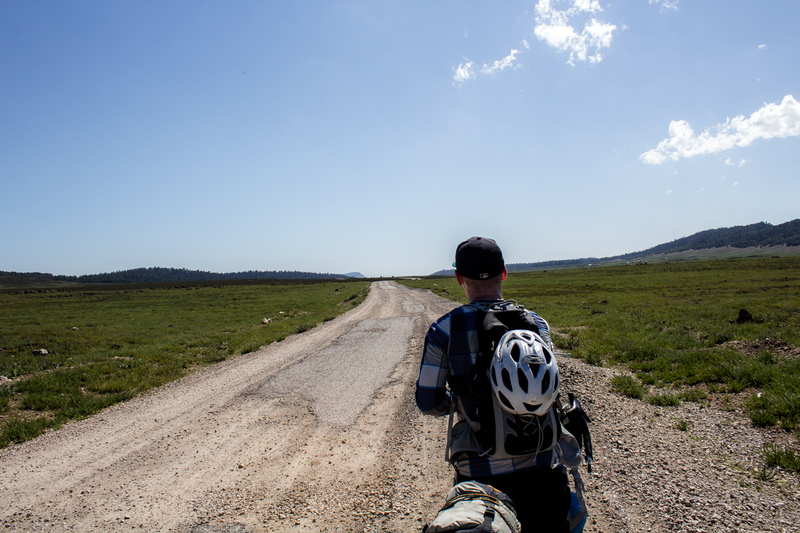 We initially tossed around the idea of a ride along one of Spain’s famous long-distance walking paths, but over the next few weeks our plans drifted south towards Morocco. Even better, a direct flight from from Washington DC to Casablanca would facilitate the logistics. 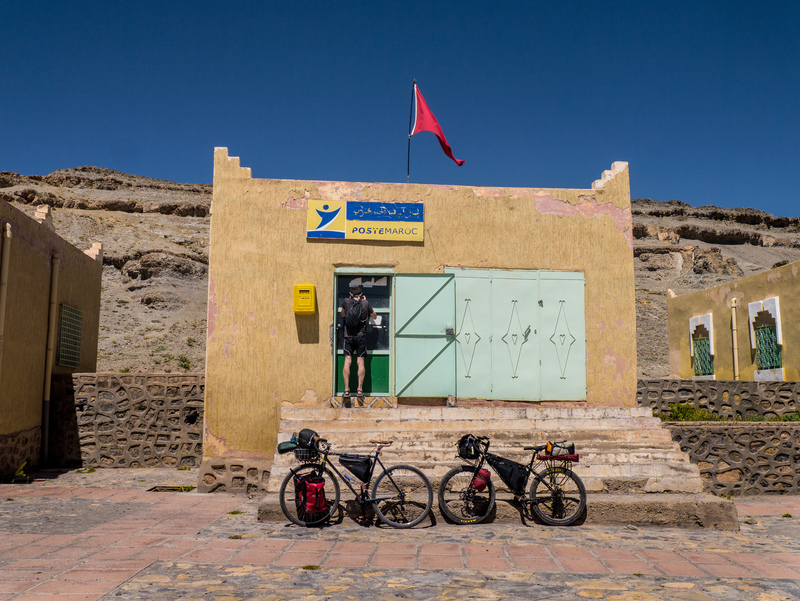 So we decided to forego all of the comforts and easy riding of southern Spain for an ambitious, 5-600 mile trek through the Mid- and High- Atlas Mountains. Planning a route across a country is exciting. There are an endless number of resources out there, from satellite imagery and other super detailed open-source mapping software, cycling-specific routing apps for elevation, and trip reports and photos from other cyclists. Over a few months leading up to this trip, I pored over these resources to piece together a route of suitable mixed gravel/pavement back roads that would keep us away from traffic and off the beaten path. I scoped out towns, and places that I thought we could possibly restock on food and water, and eventually settled on our route. Collin purchased a rugged, steel touring bike. I fitted my fat bike with 2.4in Maxxis Holy Roller tires to help me roll equally well on both pavement and gravel. My purpose in building my ride was to go lightweight. 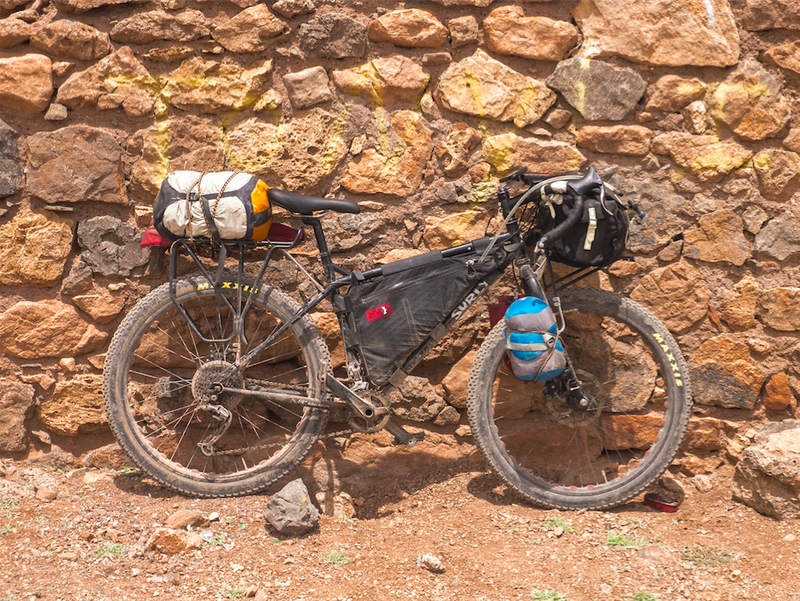 No panniers, just a minimal amount of baggage attached to the bike and one small backpack. In the end, the smaller load made me more mobile, and much more able to navigate cities and flights of steps. I wholeheartedly endorse this setup. Our arrival ended up being executed pretty much flawlessly. Plane flights were on time, our bags had no issues coming through (and bikes were accepted free of charge), and bus schedules just seemed to work out. 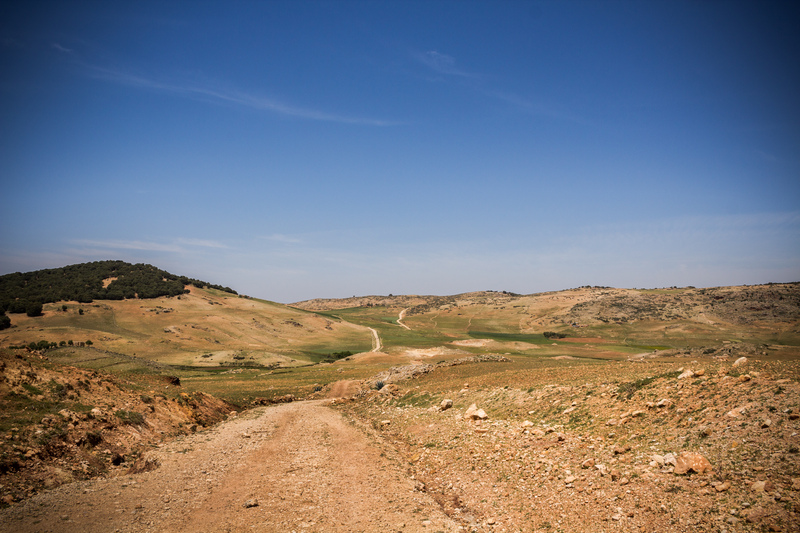 We probably only spent about 12-14 hours getting to our start in Fes, north of the Mid-Atlas, from Washington. 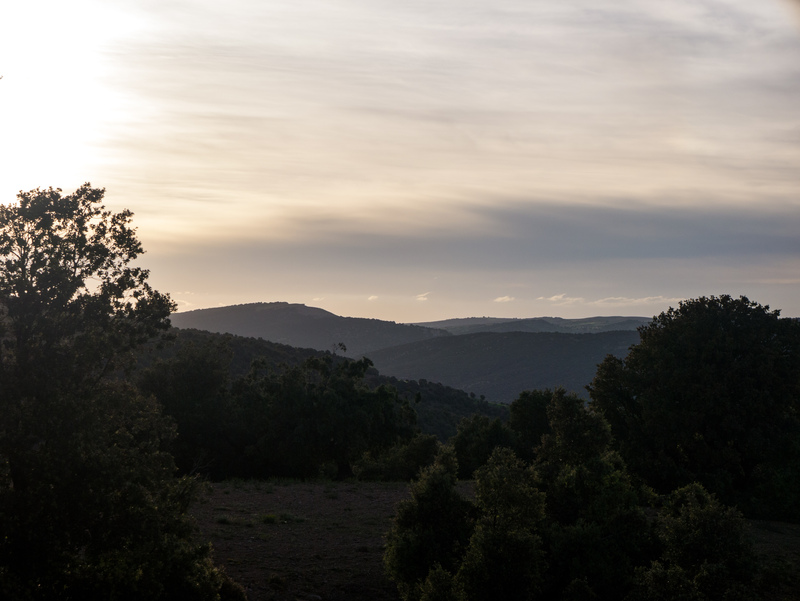 The next morning, our first day out, we made our way up to Ifrane, in the mid-Atlas. Ifrane is about 5000 feet in elevation, and is a ski resort town. One minute we were in Morocco, the next (well, more like 3000 feet of climbing later, which takes more than a minute) we were in Switzerland. 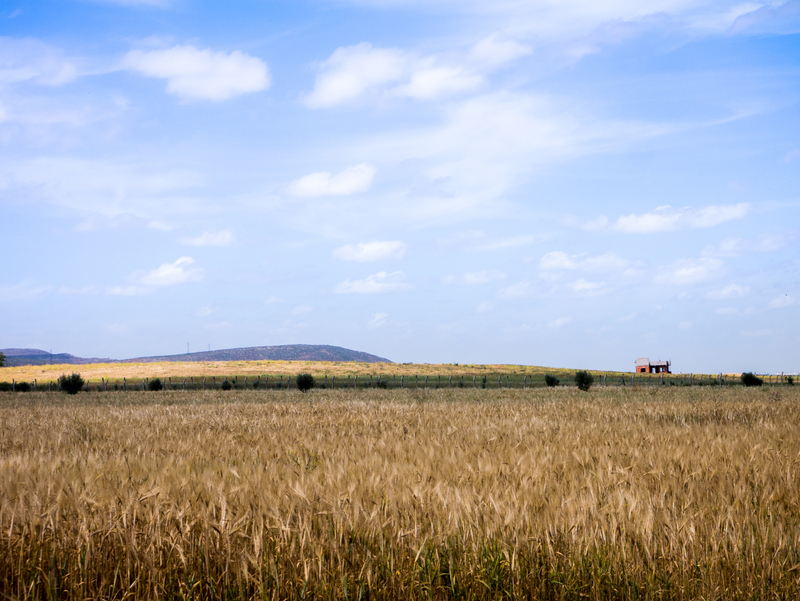 A slow climb through wheat fields at the base of the Atlas. Ifrane. 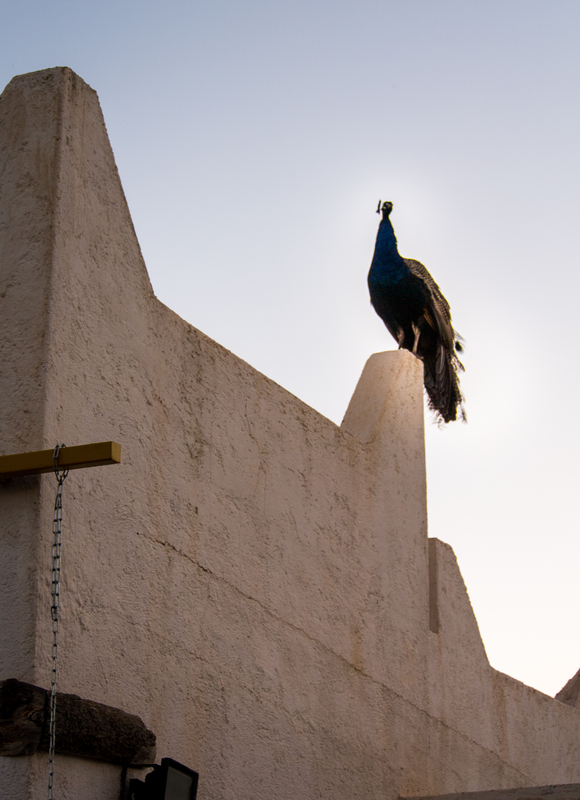 Naturally, the King of Morocco has a palace in this region. We pushed onwards to what we believed to be a refreshing lake. 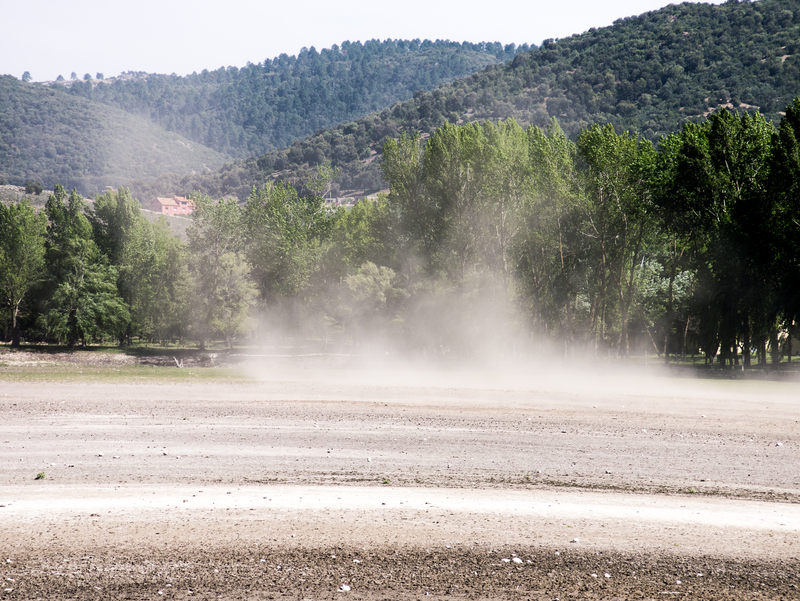 However, in what would become a common theme through the trip, the lake was largely dry. It appeared as a full lake on my GPS, but alas, we found nothing there but a few small hotels and tourist operations (boats) hanging on to the last bit of what we thought was tourist revenue for the season. 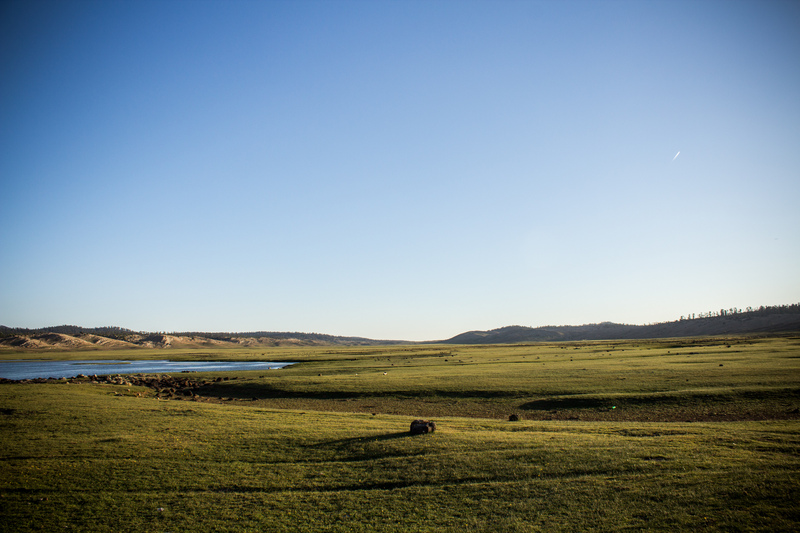 However, we later found that this lake had actually been drained for good, not just for the season, and that the last few boats, donkey rides, and run-down hotels were actually hanging on to the last bit of tourist revenue forever. Bleak. 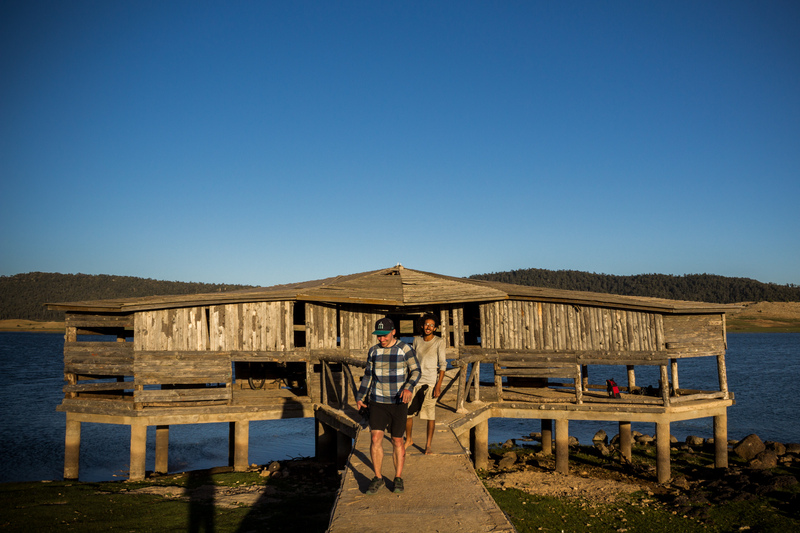 We had set up camp at the edge of the lake, but after getting eyed by some kids, and being told by some passing policemen that the area was not safe to sleep, we packed up our tents and found a cheap room at one of the bleak guest houses nearby. Was it safe? Probably, but no sense pushing it on our first night out. 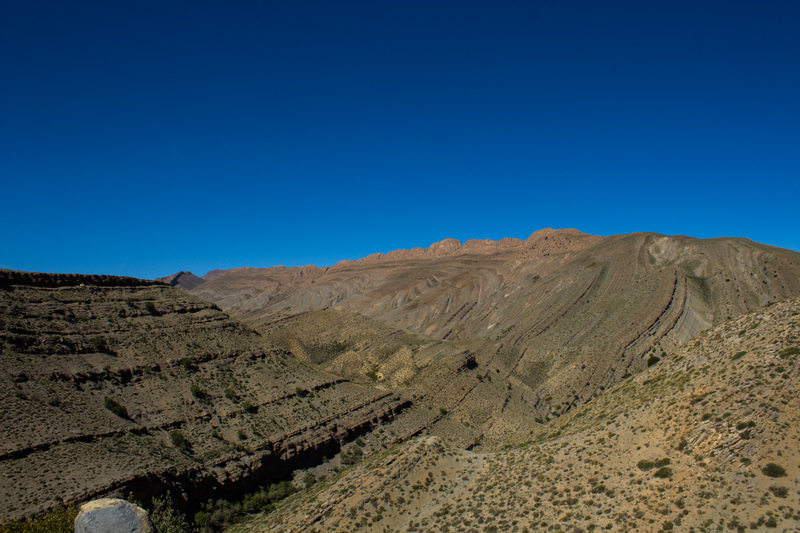 Over the next few days, we crossed into the heart of the Middle Atlas. 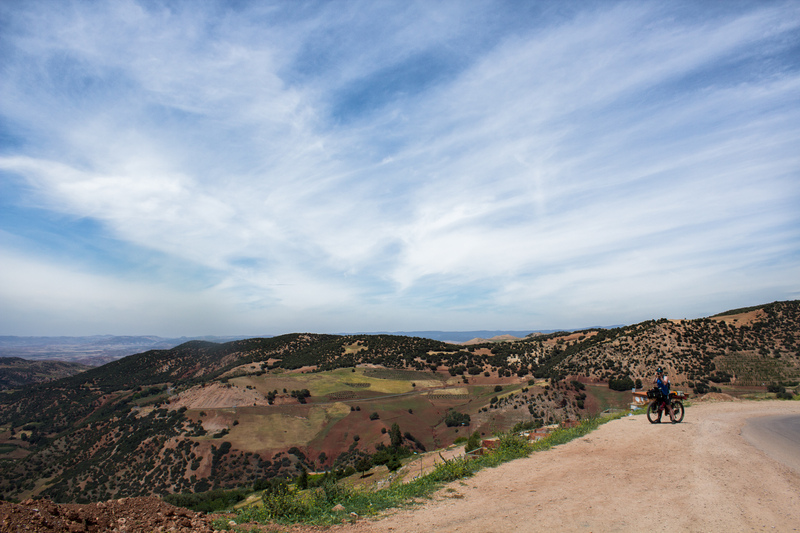 Not all of Morocco is a huge desert. In fact, this region was particularly lush, with massive cedar forests lining the road in many places. 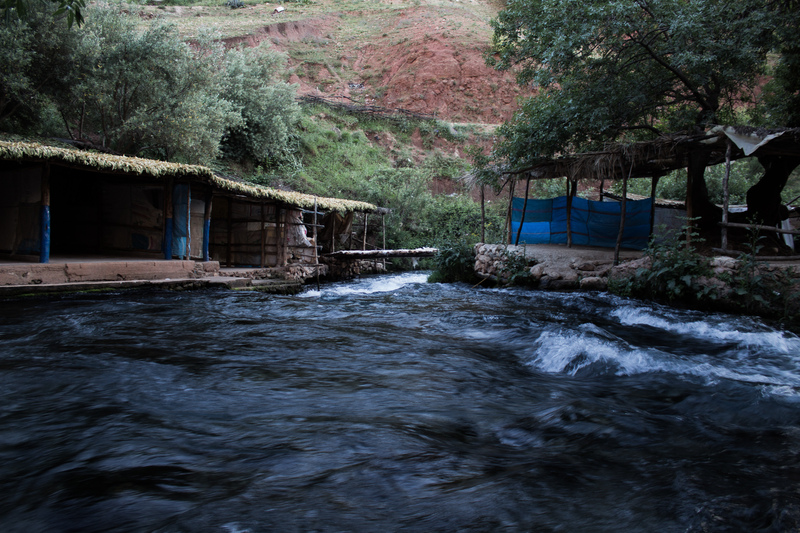 Many of Morocco’s larger rivers start here, and we spent one night at a lake that did exist, and one night at the source of the Oum Errabia river. All the while, climbing, descending, climbing, and descending. Rolling hills, sustained climbs. Descents ruined by rolling hills. The Middle Atlas was tough riding. A pleasant sunset at a wild campsite. Apparently this was a tourist attraction. For us, it was a wrong turn. As we moved further into the Atlas, climbs became longer, the scenery became more and more barren, and towns became less reliable. From a satellite view, it’s somewhat easy to tell where houses and buildings are, but it’s hard to tell exactly what these buildings contain, or what services might be available. It’s hard to distinguish the difference between an unnamed truly one-horse, subsistence agriculture town with no market, one mosque, versus another unnamed, slightly larger town with at least some street food and minimarkets. Which towns would greet us with friendly curiosity, and which would have kids ready to throw rocks at us, grab at our clothes and beg. There were a lot of towns in each category. Exploring one of the better-equipped cities. Kids in Morocco tend to be somewhat more forward than in other places I’ve been. But the horror stories that I had heard from other blogs were just that, horror stories. Kids were, for the most part, happy with a “Bonjour!” or a high five, until they weren’t and started to pick up a rock. Dogs, too, tended to be pretty docile, until they weren’t. We got chased by both, a few times over the trip. In the big cities (well, again, adjusting the idea of “big city” to mean a town with more than 5000 people), this wasn’t an issue. 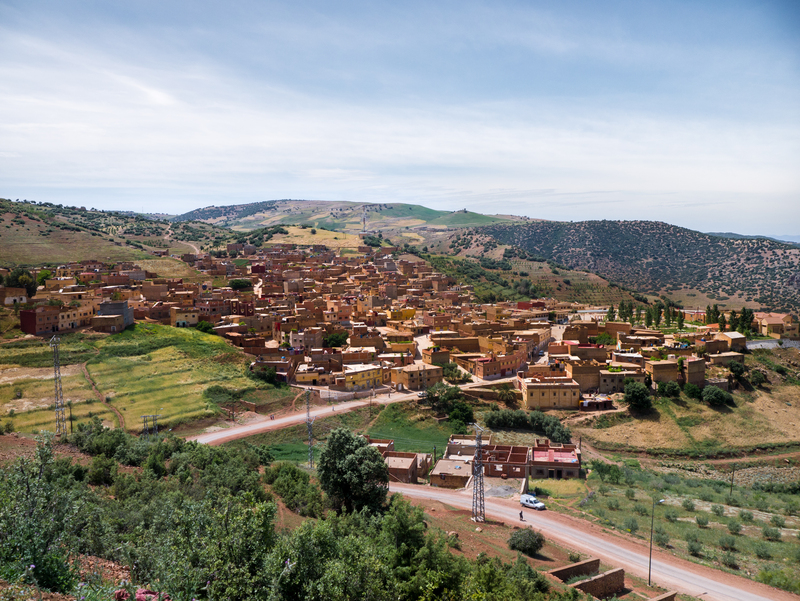 But in the Berber towns deep up some valley in the high Atlas on the true edge of society, it was worth keeping an eye out. Sending mail home. $2 to get mail to America. It hasn’t arrived yet. 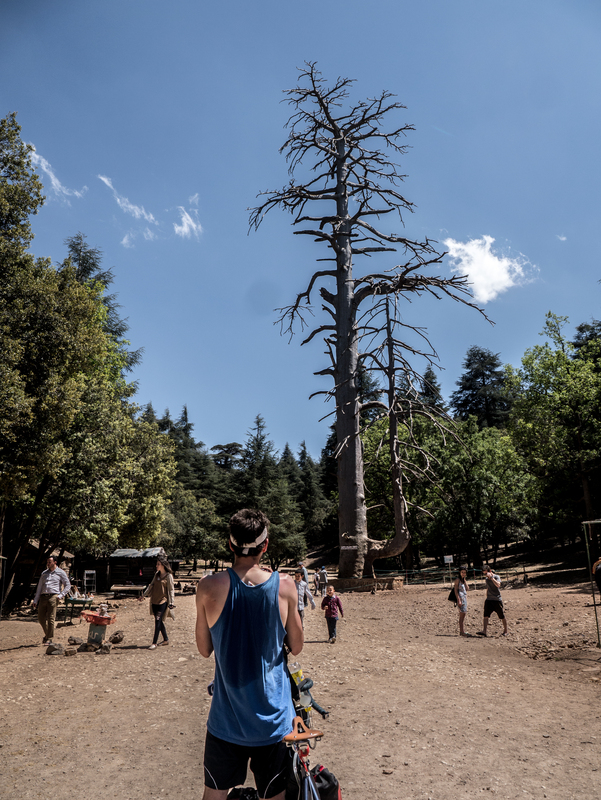 After the cedars of the Mid Atlas, a case of food poisoning had us take a deviation from our planned route. A shortcut on a nasty gravel road took us through the town of Khenifra, where we realized how hot it was getting at lower elevations. Descending to just under 3000 feet, we felt the weight of the impending Moroccan summer, which would probably make this route unbearable in just a matter of weeks. It was a dry, dusty heat and blistering sun that had me in a protective long-sleeve shirt all day, sleeves pulled down over my constantly burning wrists and hands. One sunburn replaced another. Peeled skin gave way to dry, cracked new skin. 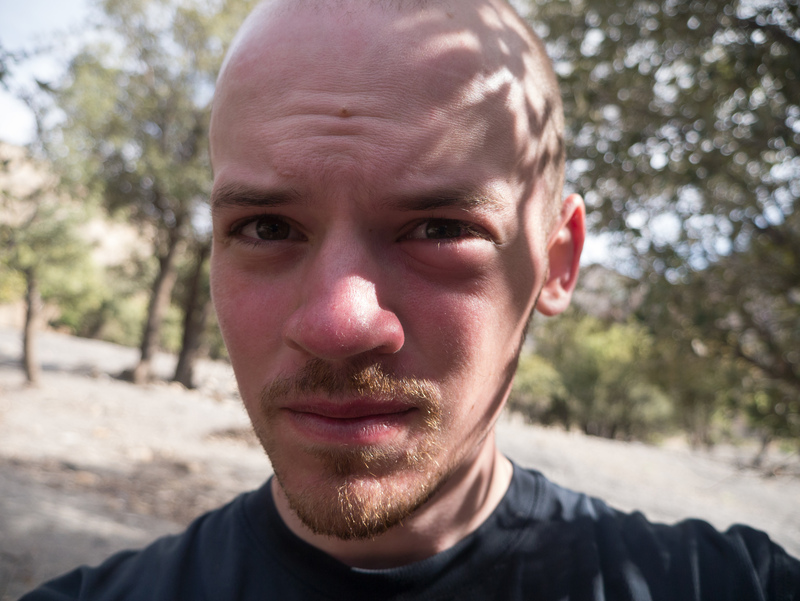 Coming out of Khenifra, at the base of a large climb, I got stung by a bee on my eyelid, and worried that I was about to have to do a day or two with an eye swollen shut. It didn’t get bad. We saw a lot of beehives up here. Water was easy enough to find along this route. We considered well water largely trustable if we had seen water purification infrastructure in the last day. Sometimes we just wouldn’t want to trust a random jug of tap water, so we used some bottled water. 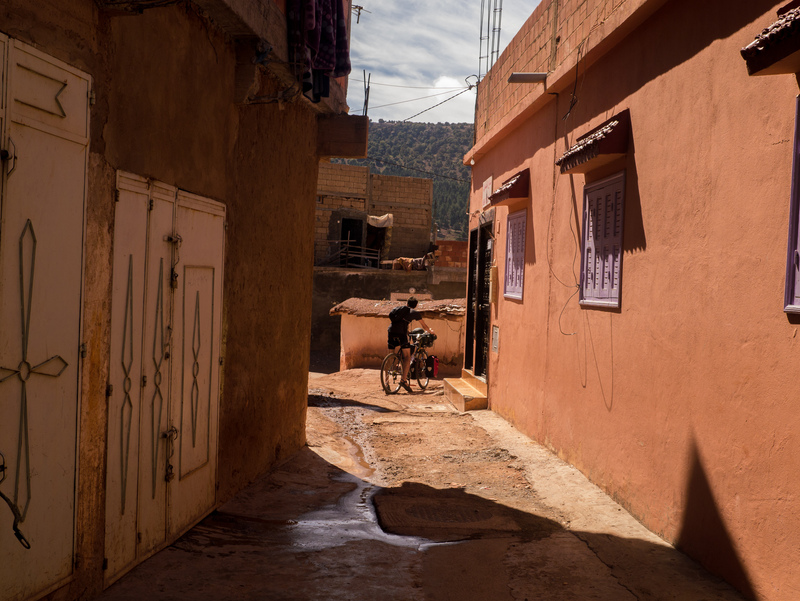 Oddest place we filled up was in front of an audience of small children at a well at a tiny Berber school. More climbing. A little descending. Then more climbing. Up to 8,000 feet, down to 6,000 feet, then up to our peak, at a hair under 10,000. Out of the fertile Mid Atlas and into the barren desert of the High Atlas, and along the edge of the Sahara. Stumbling into active coal mines. All that and more in Part 2. 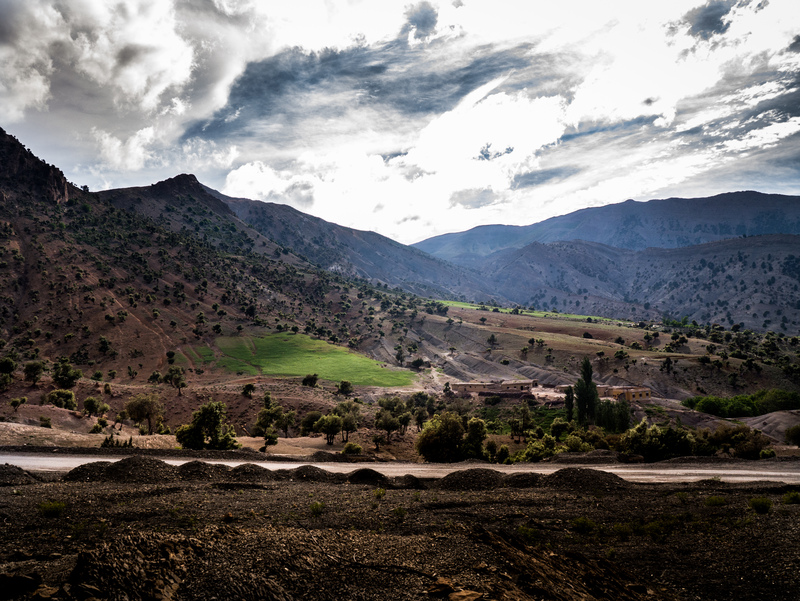 A nice campsite, heading into the High Atlas.